I have a utility function that takes in a status enumeration and returns a string description associated with the given status code. Enum.GetValues() returns an array of all defined values for an enum, and Enum.GetName() translates a value into the name of the constant. Now I have a unitÂ test which will tell me which error code does not have a corresponding string. 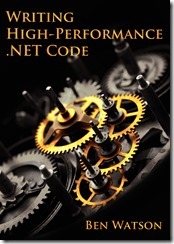 This entry was posted in Code and tagged .net, enum, unit testing on August 7, 2006 by Ben.